The State Government Relations team goes to Florida to continue its battle against step therapy. Advocates from the National Psoriasis Foundation (NPF) and Arthritis Foundation (AF) went to Tallahassee, the Florida state capitol, on April 4th to show their support. Furthermore, to advocate for the passage of House Bill 877 and Senate Bill 530. Passing legislation to curb step therapy protocols has been a multi-year effort headed by a large coalition of patient and provider groups. Although it has been a challenging journey, many hope our tireless work in Florida will come to fruition this year. Indicators show step therapy legislation has a very realistic chance of passage. In Florida, however, lawmakers can only sponsor a specific amount of bills each session. The Florida committee reference process also poses an administrative hurdle. Each bill must successfully pass out of three reference committees to reach the Senate and/or House floor. However, both bills are making quick progress through their reference committees. House Bill 877 was a success out of the Health Innovation Subcommittee, bypassing the second reference committee, leaving one final hearing in the House Health & Human Services Committee. Senate Bill 530 also was a success. During our April 4 Advocacy Day in Florida, we were able to attend the second hearing for SB530 in the Senate Judiciary Committee. NPF advocates were as supportive as ever. Again, the bill passed unanimously, leaving the Senate Rules Committee as our final stop. Anticipating this passage, NPF and AF advocates spent the rest of our Advocacy Day meeting with members of those two final committees, sharing their personal experiences with step therapy and urging the committee members to support these very important bills. In addition, NPF advocates met with a total of 18 Senate and House members, with nearly half committing their support. 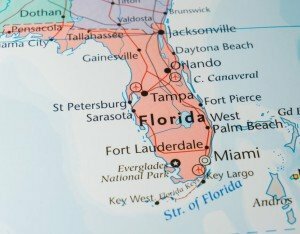 With Florida legislators’ growing interest in step therapy legislation, the strong backing of patient and provider groups, and years’ worth of education efforts, we are optimistic about limiting step therapy practices in Florida and providing Florida residents the access they need to critical therapies. You can also discover step therapy news and more information about future events. Ready to help support our efforts to reduce step therapy in your state? Please contact State Government Relations Manager, Amy Prentice, at aprentice@psoriasis.org to learn how to get involved!